Rory and Amy's relationship is one of my favourite character developments from the new series of Doctor Who. 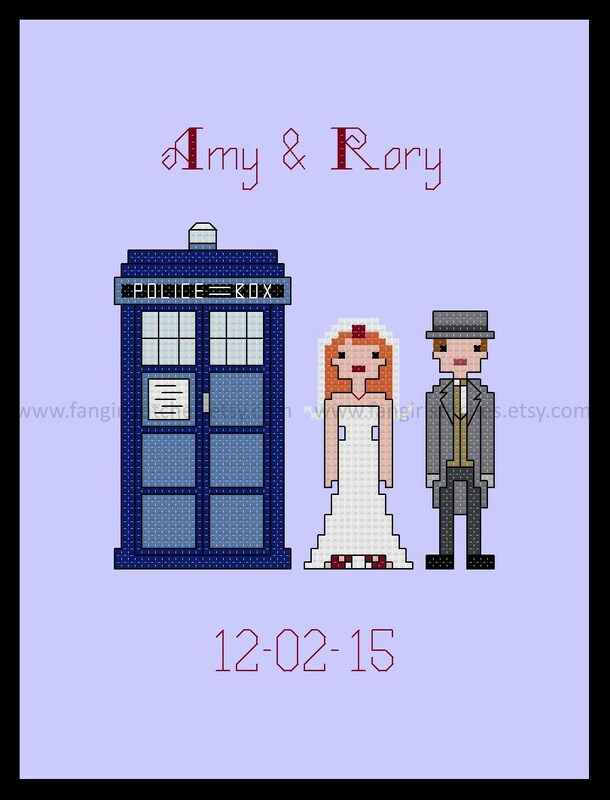 Celebrate your own fixed point in time with this Whovian themed wedding sampler cross stitch pattern. 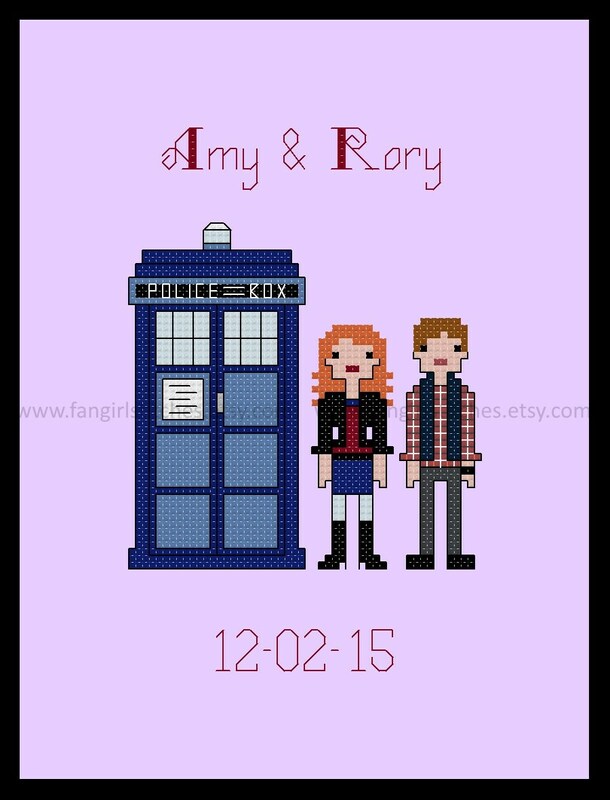 Two different pattern options are available - one featuring Rory and Amy in their wedding finery, and one in their regular save-the-world clothing. The pattern comes with a PDF chart and full instructions. The floss chart is DMC and Anchor, although of course you can adapt it to suit your preferred brand of threads (or whatever scraps you have on hand!). Also included is the number and alphabet chart so that you can customise it to suit your own bride and groom, and fixed point in time. Great instructions and the pattern is very easy to read!